Our range of products include concrete paver block making machine, high quality concrete paver automatic machine, automatic paver block making machine, paver block making machine and hydraulic paver block making machine. 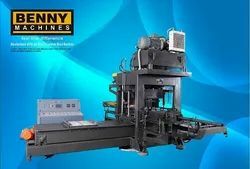 Under the strict administration, we are offering Concrete Paver Block Making Machine. 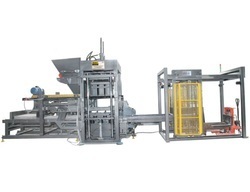 Backed by rich Industry experience, High quality Concrete Paver Automatic Machine available in 6, 10 and 15 Paver Cycle Models with twin Auto Feeding Color and Base. Fitted with high frequency Double Mould Vibraters advanced PLC and Hydraulic System Pavers Production from 5000 to 16000 nos per shift. In our attempt to meet the various requirements of our esteemed clients, we are engaged in offering Automatic Paver Block Making Machine. 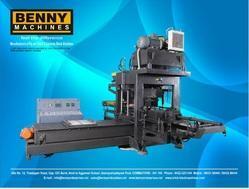 With an aim to stand tall on the expectations of our esteemed clients, we are providing Paver Block Making Machine. 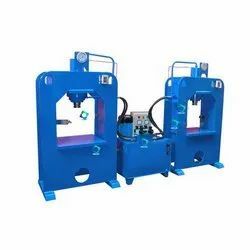 With the valuable assistance of skilled team of professionals, we are engaged in offering an extensive range of high-quality Hydraulic Paver Block Making Machine. Looking for “Paver Block Making Machine”?